discover the world in your way! 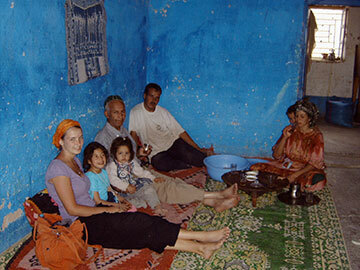 Are you curious about life and want to get to know other countries and people? We’re offering you the chance to embark on a unique and unforgettable journey. You will be on the road for at least four weeks, will meet new people and deepen your interests. And best of all, you get to decide where to go! Because this journey is entirely your own. Get ready for a once-in-a-lifetime experience! Do you want to discover the world, but don’t have enough cash? We’ll give you 600 euros – totally independent of your academic achievement, your parents, or your nationality. The only important thing is that you have a plan and do your own thing. You can get far and experience a lot with 600 euros, as you can tell from the short reports (german only) of our many travellers! Are you ready to strike out on your own? Do you want to discover the world in your own way but don’t feel like mass tourism? We don’t either! With our scholarship you’ll move independently in a country of your choice. Without flying - because the journey is part of the experience. It's up to you alone where you spend the night and whatever else you need to live. That’s how you discover places that you fall in love with at first sight, as well as those that you start to appreciate after the second glance. Have you never travelled alone before? Then look forward to a whole series of adventures. We will be happy to give you travel tips and help inspire you to find an exciting research topic. That’s how your journey will become unforgettable - and you’ll not only discover new things, but also yourself. And that is more exciting than it may sound - let yourself be inspired by the experiences of other scholarship holders! 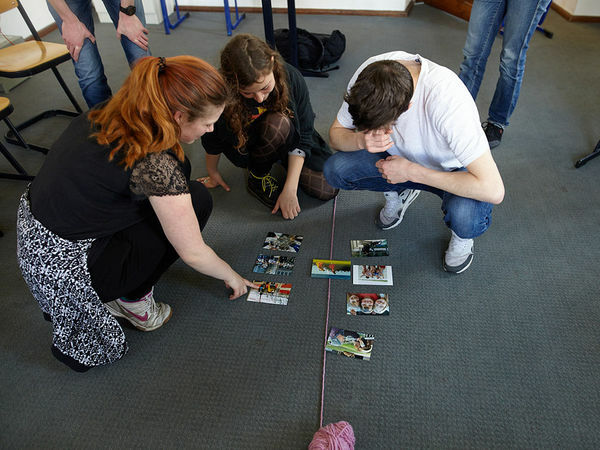 The zis Stiftung für Studienreisen supports young people who want to go travelling off the beaten track with an independently planned project. This page provides more information about our foundation. You can also find our statute and other ‘facts and figures’ on our Transparency page. As a foundation, we want to offer you independence. That’s why we award our scholarships independent of gender, nationality, previous education, material circumstances or academic achievement. The 600 euros allow you to undertake an independent and self-determined journey. Our foundation is unique in Germany. It allows you to undertake a journey in a country of your choice, based on an original topic and independent travel planning. You have the unique opportunity to gain first-hand life experience and insights and to embark on a true adventure. As a charitable foundation, we act in a sustainable and future-oriented manner as a matter of course. Our zis team helps you to gain experiences for life, discover cultures, contribute to international understanding and pass on knowledge to others. For us, the matter of security is vital before, during and after your journey. It begins with the personal support you receive from our mentors in the preparation phase, and lasts until the evaluation of your journey. As a reputable and charitable foundation with 60 years of experience facilitating 2000 journeys, we will help you answer questions and overcome challenges. 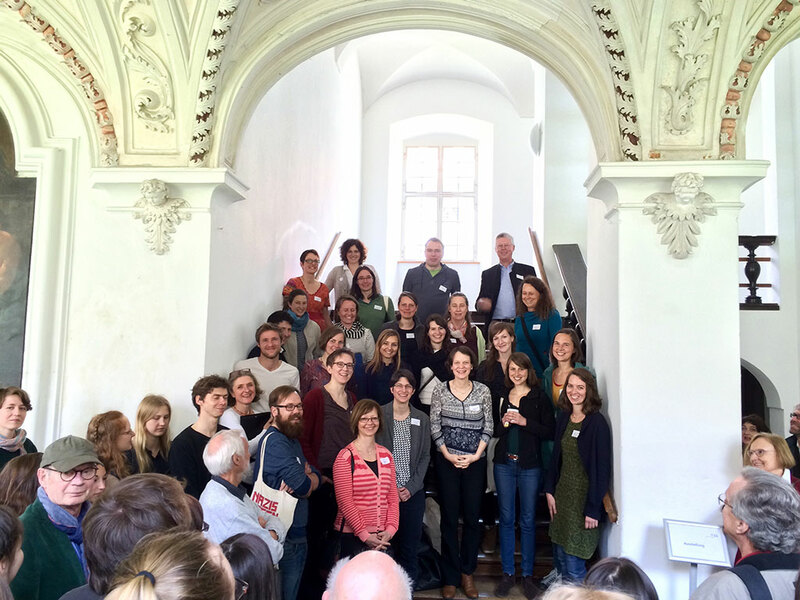 All in all, about 30 volunteer mentors from various professions work for the zis Foundation. Most of us have gone on a zis journey ourselves and therefore know exactly what awaits zis travellers. We meet every year to discuss the journeys that took place the previous year and to select the new travel projects. 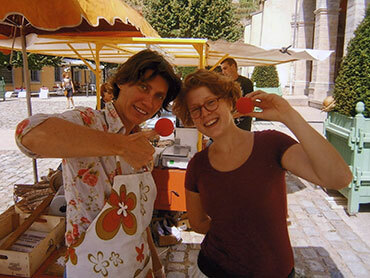 We subsequently support the selected young people in the implementation of their travel projects. As is the case in any foundation, we have a board of directors and a foundation board who work on an honorary basis. We also have the zis office. 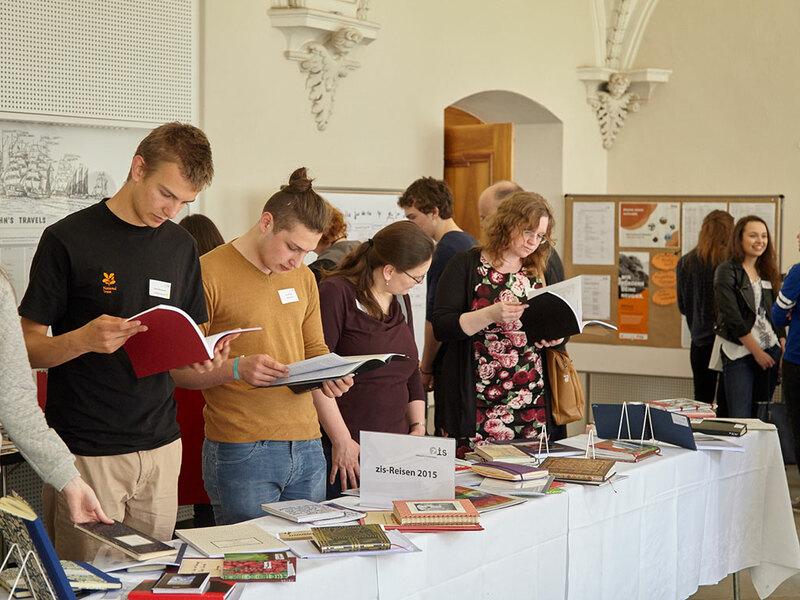 Every year in May, a gathering is held in the Schule Schloss Salem for the zis travellers who completed their journeys the previous year, those applying for a zis scholarship, and the committees of the zis Foundation. The reports and travel diaries of the previous year are displayed in an extensive exhibition where you can browse and read in peace. There are plenty of opportunities to interact with the other guests. 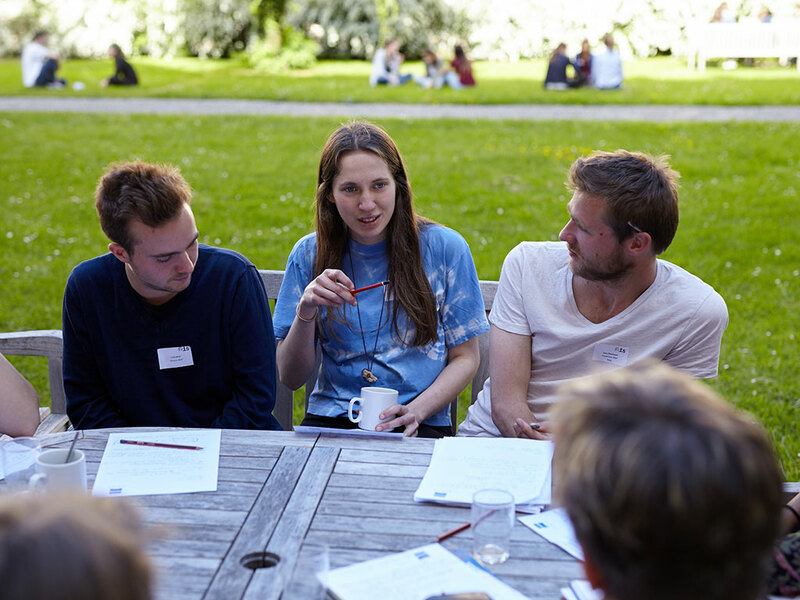 In the workshops, travel scholarship applicants have the opportunity to ask questions about travel preparation and receive tips from zis alumni and mentors. The ceremonial conclusion of the weekend takes place on Sunday morning with the presentation of and tribute to the previous year’s zis group. Many guests and members of Friends of zis come to listen to the stories of the last year group. The wide range of topics researched and countries visited on the zis journeys and the exciting, amusing and moving stories of the scholarship holders never fail to make the yearly ceremony a special and unique experience. Following the endeavours of the former Salem school principal Prince Georg Wilhelm of Hanover, the "remarkably scant scholarship" program of the French Fondation Zellidja, reserved for young French people, is transferred to Germany. The mediator is Jacques Doucet, the former Zellidja prize-winner and the organizational work is entrusted to Salem pedagogue Marina Ewald. The Conference of Internationally-Minded Schools (CIS) had already been made available as the ideational sponsor on 6 November 1955. Boys from the member schools can apply after being elected by their classmates. The board of the French Fondation Zellidja holds its first annual meeting after the death of Jean Walter in Salem; a meeting with several German Ministers of Culture, who are also visiting Salem at this time, takes place. For the tenth anniversary of the scholarship program, Marina Ewald is appointed Chevalier dans L'Ordre des Palmes Académiques by the French Ministry of Education. The Deutsche Gesellschaft für Europäische Erziehung becomes the ideational sponsor of the scholarship program and issues the letters of recommendation (until 1975). After the dissolution of the Conference of Internationally-Minded Schools, the scholarship program must finally stand on its own two feet. The Schule Schloss Salem provides the crucial aid for its survival. Marina Ewald strongly advocates for the establishment of a supporting association for the scholarship program. The first Chairman is the Salem Teacher Daniel Miscoll, in whose living room the first meeting takes place. The association is called zis - Zusammenarbeit Internationale Studienreisenstipendien e.V. Liane Wuttig takes over the chairmanship according to the originally planned rotation process. zis gets a telephone connection in the office. The German UNESCO Commission takes over the patronage of the scholarship program. The cooperation is brokered by Dr. Hartmut Rahn, Secretary General of the German Academic Scholarship Foundation. zis proposes scholarship holders for the German Academic Scholarship Foundation for the first time. The 25th anniversary of the scholarship program is celebrated in Salem. The chairman of the association, Liane Wuttig, emphasises in her speech that the main goal of zis has become offering young people a contrast to the consumer society. Treasurer Dr. Helmuth Poensgen sends out an emergency call: the money has already run out in May! In a special funding campaign, former scholarship holders and previous benefactors are asked for a special donation on the occasion of the 65th birthday of Hanne Bauer. Nearly 5000 Deutsche Mark are raised. The financial crisis intensifies. After zis has to restrict its public relations work due to a lack of funds, the number of applications falls sharply. The crisis has been overcome. Intensive public relations efforts lead to 150 applications, the record to date. For the first time, zis employees are publishing a printed magazine entitled "scholarship holders report", which is intended to interest young people as well as parents and teachers in the scholarship program. Eight applications are received from the still existing GDR; three young people can travel. zis awards book prizes for special achievements for the first time. Five zis scholars are allowed to attend the Federal President’s youth reception. Friends of zis is launched for the occasion of the 75th birthday of Hanne Bauer. 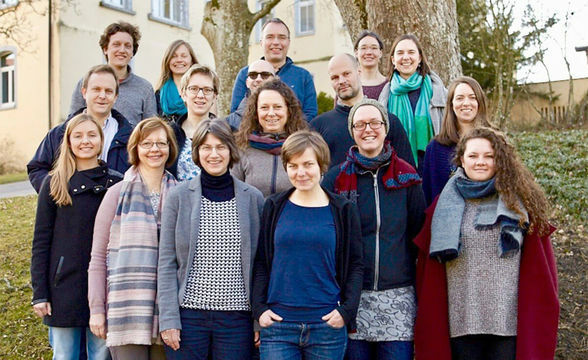 The association changes its name to Stiftung für Studienreisen e.V. Ursula Danneberg begins her work in the zis office and Jutta Fensch succeeds Hanne Bauer in the jury. Klaus Pfaff takes over the chairmanship of the association. Hanne Bauer receives the Federal Cross of Merit for her social engagement, especially with zis. Six years after the foundation of Friends of zis, it has 140 members. Jutta Fensch, head of the jury, dies on a journey in the Himalayas; her successor is Angelika Reuter. The first website of zis goes online. The first innovation meeting on fundamental issues of the scholarship program is held in Berlin, and goes on to take place yearly in the autumn. The present “zis Stiftung für Studienreisen” is founded; Eberhard Leitz is the first chairman of the board; the Foundation Board is chaired by Salem School Principle Dr. Ing. Bernhard Bueb. Graphic designer Torge Stoffers designs the first zis logo. Dagmar Baltes takes over the full-time management of the zis office. A joint meeting of zis and Zellidja takes place at ARTE in Strasbourg on 6 November 2004. The two foundations celebrate their common roots, which go back to Jean Walter, share their experiences and set themselves the goal of intensifying Franco-German cooperation. For the first time in the history of the program, 50 scholarships are awarded in one year. Dr. Bernhard Bueb takes over as chairman of the board. The 50th zis anniversary is celebrated in Salem. "Reiseziel Erfahrung" is published, the first book about zis. The zis office and the zis archive move to Schloss Spetzgart. Regina Schütt takes over as head of the jury. In June 2013, representatives of zis attend the Zellidja scholarship holders party in Paris. La cérémonie Zellidja takes place for the first time within the Bibliothèque Nationale, to which the entire archive of study reports has been entrusted. zis celebrates its 60th anniversary. A volume of alumni contributions from all 60 years is published: “60 Jahre. 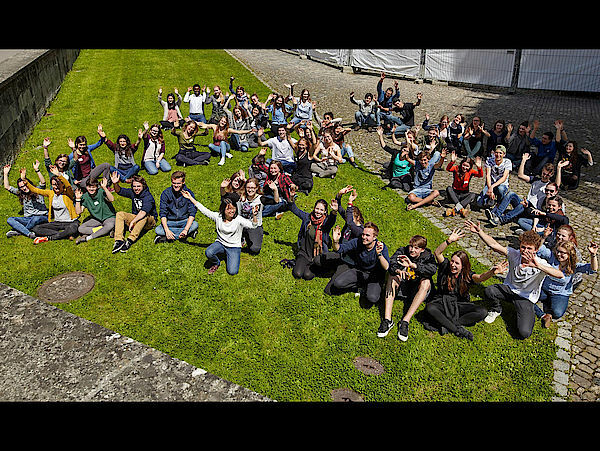 Jugendliche entdecken fremde Kulturen.” For the first time in the history of the program, 60 young people embark on their journeys. The 2,000th young person goes on a journey with zis. 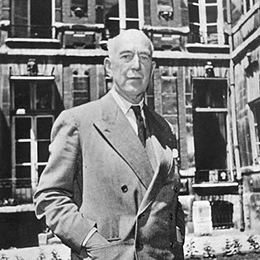 Alone and with little money, Jean Walter (1883-1957) went on courageous expeditions by bicycle to many European countries while he was at school and university. On the way, he not only discovered the world but, most importantly, he discovered himself. He later perceived these journeys as extremely formative experiences. As a wealthy businessman, he first privately offered scholarships to young people in 1939 to enable a temporary escape from their day-to-day lives. In 1956, and in collaboration with the French Ministry of Education, Jean Walter turned this project into a foundation: the Fondation Nationale des Bourses Zelllidja. As an educational employee of Kurt Hahn, Marina Ewald (1887-1976) was soon inspired by the ideas of Jean Walter. In a personal encounter with Jean Walter in 1955, she revealed to him: “I came in order to steal your idea”. Walter quickly agreed to the foundation of a German organisation. With persistence and charm, Ewald won ideational and financial supporters for the travel scholarships at the “Conference of internationally minded Schools (CIS)”. Marina Ewald worked for zis for 20 years and was responsible for shaping guidelines and criteria for the application and evaluation processes of the travel projects. 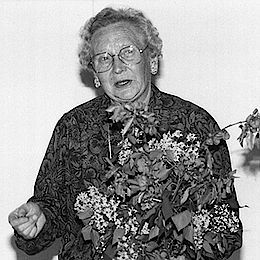 Before her death, Marina Ewald expressed her wish that Hanne Bauer (1918-2000) would carry the work of zis forward. At the age of 60, Hanne Bauer accepted this new challenge and used her zis project to guide dozens of travellers with rigour and warmth. On 6 December 2000, Hanne Bauer died while on the belated zis journey that her volunteers had gifted her for her 80th birthday. Shortly before her death, Hanne Bauer was awarded the Federal Cross of Merit for her engagement with zis. 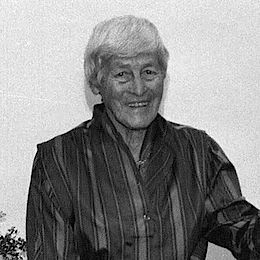 Liane Wuttig (1915-2007) had already experienced and admired the pedagogy of Kurt Hahn as a student of the Schule Schloss Salem. When she returned to Germany in the 1970s, Marina Ewald offered her a position in the zis project which she immediately accepted with great pleasure. 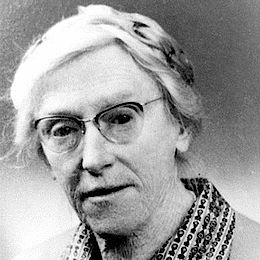 In her autobiography she wrote, “the fact that young people can travel independently and are able to ‘experience’ themselves was a wonderful pedagogical concept that kept inspiring me throughout my work with hundreds of scholarship holders.” In 1977, Liane Wuttig took over the chairmanship of what was then known as the “Europäische Organisation für Reisestudienstipendien ZIS e.V”, and which she consequently held for decades. She continued volunteering for the jury of the zis Foundation well into her old age, until she was over 90. Crossing borders still cannot be taken for granted today and certainly was not in the founding days of zis – in a very literal sense. 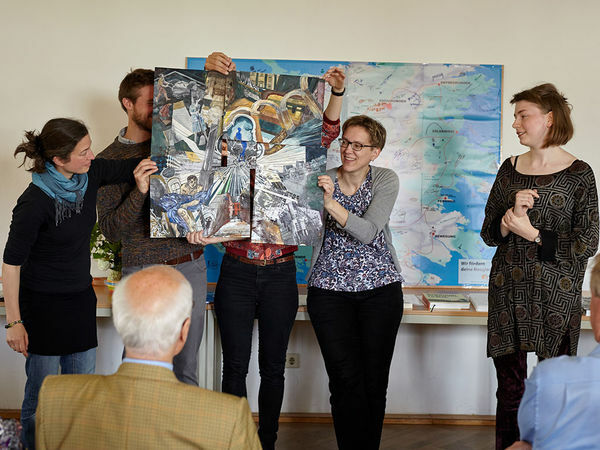 Decades before freedom of movement within Europe was established, the Fondation Zellidja and the zis Stiftung für Studienreisenmade it possible for young people to get to know foreign and unknown countries and nations, many of which faced prejudice from the outside word. The international character of zis is reflected in the history of its foundation: an idea from France, an inspirational thinker with the incredibly adventurous destination of Istanbul, a pedagogic breeding ground at the reform-oriented and international school Schloss Salem, and volunteers full of passion and the longing for peace and reconciliation. Only this unusual combination could have enabled the ongoing success of the scholarship programme which has now been running for over six decades. During the founding years of zis, Franco-German relations were especially prioritised: the western neighbouring country was, and still is, a very popular destination for zis scholarship holders. In this way, zis and Zellidja have been practicing, living and experiencing those abstract political goals formulated between Bonn/Berlin, Brussels, Strasbourg and Paris for a long time. At the time when Francois Mitterrand and Helmut Kohl shook hands in the Douaumont war cemetery on 22 September 1984, which became an iconic visual symbol of the century, hundreds of young people had already journeyed to and from France, thereby building bridges between the two countries. The Franco-German roots of zis quickly became international. Major developments demonstrate how deeply anchored the international foundation of zis truly is: from 1990, after the fall of the Iron Curtain, young people began to discover those countries whose borders were previously almost impossible to cross with the same enthusiasm, the same curiosity, and the same impartiality. The discovery of new spaces and cultures, unreservedly and with youthful curiosity, is one of the essential dimensions of zis. The young travellers not only take something away from their host country – knowledge, encounters, friendships – but also share parts of themselves and their home. At zis, we see every scholarship holder as an ambassador for their home country. That was the case in 1956, only eleven years after the end of the war, and in over two generations this task has not changed for our young people. This is also something zis prepares them for before they begin their journeys. Zellidja is the parent organisation and original inspiration for zis in France. Jean Walter founded Zellidja Travel Scholarships in 1939. In 1955, he inspired Marina Ewald, the Deputy Headmistress of the Schule Schloss Salem at the time, to launch the zis scholarships. Zellidja is based in Paris and the archive is housed in the Bibliothèque Nationale. Every year, up to 120 fellowships are awarded with the support of 200 volunteers. The renowned private school in Baden-Württemberg generously supports zis by accommodating both the archive and the zis office. Schule Schloss Salem and zis are connected through common experiential learning objectives as well as historical roots dating back over 60 years. The zis office is located in Spetzgart, where the upper school is also located. In addition, the Schule Schloss Salem provides the space for meetings and gatherings of the zis Foundation. rausvonzuhaus.de is an information platform of Eurodesk Germany. It is funded by the Federal Ministry for Family Affairs, Senior Citizens, Women and Youth and the EU program "Youth in Action". 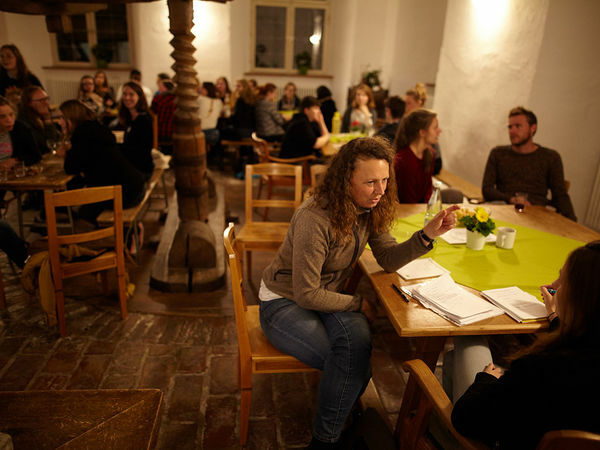 For years, many young people have been finding their way to zis via rausvonzuhaus.de. This platform has proven to be a very valuable path to our foundation. 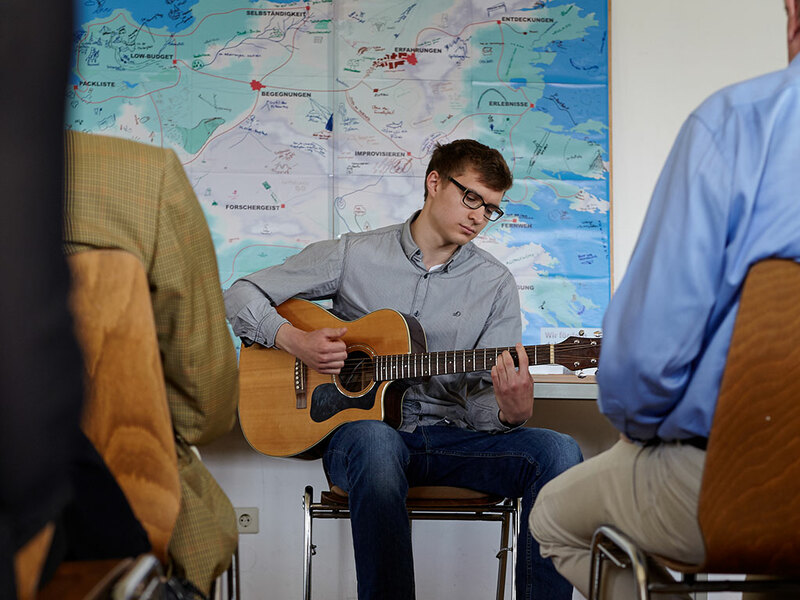 The German Academic Scholarship Foundation, the oldest and largest scholarship fund in Germany, supports gifted students with scholarships, book money and summer academies. Because former zis travellers often have an exceptional profile, the Studienstiftung gives zis the opportunity to recommend former zis scholarship holders for their funding program. 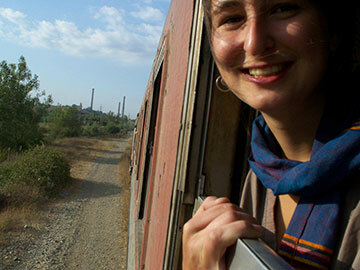 The Stiftung Bildung und Jugend funds four travel scholarships every year. The purpose of the foundation is to promote people-centred education and training. To fulfil this purpose, it develops and supports schools, educational institutions and didactic models. Both foundations have a common aim of promoting the 'education through self-awareness' approach. 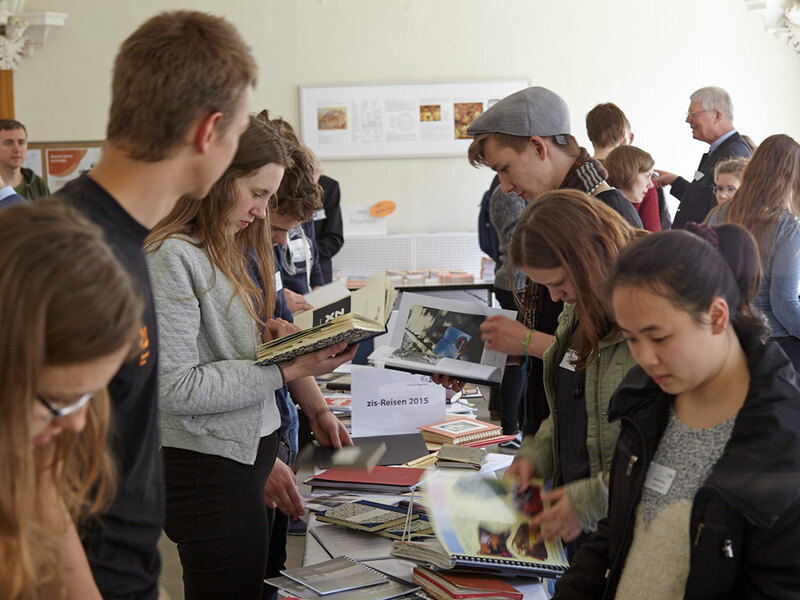 Every year, the Neumayer Foundation funds several of the zis Foundation travel grants for the purpose of education and upbringing. Through this support, it recognizes the extraordinary achievements of young people who are prepared to expand their experiential horizons and push their boundaries on a zis journey. Both foundations are connected by a matter close to the heart which inspires individuals to pursue a vision and get others involved. In our annual report, we present the year group of the scholarship holders who have just completed their journeys. We also provide up-to-date information about any changes occurring within the foundation. The excerpts from some of the zis travel diaries and reports included in the annual report are especially worth reading. Unfortunately the annual reports are available only in german. A book on zis was published on the 50th and 60th anniversary each. The books are available in German only and can be purchased at the zis office. > Excerpt "Jugendliche entdecken fremde Kulturen"
Your challenges: "travelling alone" doesn't mean being "lonely"